Over the past few years I, and others in our congregation, have been involved in an effort around the High Holidays that has had the effect of deepening our experience. It’s called 10Q. What is it? 10Q is a platform for people to rethink the significance of the time period between Rosh Hashanah and Yom Kippur and its relevance to their lives today, by generating a space for annual reflection. 10 Days. 10 Questions. Answer one question per day in your own secret online 10Q space. Make your answers serious. Silly. Salacious. However you like. It’s your 10Q. 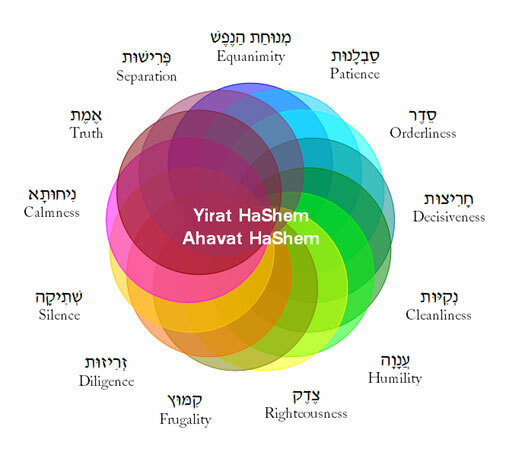 At the end of the ten days, you have a day or so post-Yom Kippur to reflect on your answers. You will then be invited to hit the magic button and send your answers to a locked online vault. Next year, on the eve of Rosh Hashanah, your answers will magically appear in your inbox, full of revelations. It’s time to 10Q. For more information follow this link: DoYou10Q? I will be doing this again this year and encourage you to check it out. Sign up. Get involved. Go deeper this year during the special time between Rosh Hashanna and Yom Kippur! Here is the sermon which rabbinic student / cantorial soloist David Curiel offered on the second day of Rosh Hashanah. L’shana tova. I am so happy to be back here with you this year. This time without a cold, but with our 10-month-old baby daughter, Dafna, spending her first Rosh Hashana here, with you. Thank you for welcoming us all back so warmly. As we were getting ready to leave on Wednesday morning, the city of Boston took down a tall, old maple tree from the front of our house. It was sick and had to go, but all the same, we were sad to see it leave. We will miss its shade on hot summer afternoons, but not the worry of large falling branches during winter storms. This is the season of reckoning with our past and bringing a new, better version of ourselves into the future. How blessed we are to be on that journey together here today. The Torah readings this year are particularly poignant for me and my family. Yesterday, we read about Sarah’s joy and relief at being granted a child in her old age. Itzchak, meaning “he shall laugh,” a reflection, surely, of the laughter a child brings to a home, especially one long-distressed by infertility. We can imagine the fear Abraham had been holding in: stoically marching his son up the mountain, not saying much, so as not to panic the little one. And we can also imagine him, poised tensely over his son, hearing that voice that must have brought a quivering flood of tears of relief, the collected, unexpressed, intensity of that moment draining from his body as he collapsed momentarily over his son in a bear hug before going to collect the ram stuck in the thicket. 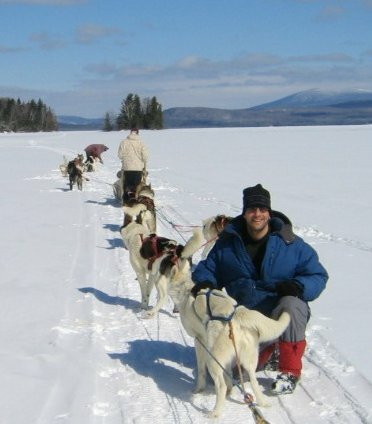 You are cordially invited to a DOG SLED / SABBATH retreat March 14 – 17. Imagine yourself mushing a team of beautiful dogs through powdery snow against a backdrop of stunning mountains. As Theodore Herzl said, “if you will it, it is no dream”. The trip takes place in western Maine. It begins Thursday evening with meeting our mushing guides, Kevin and Polly from Mahoosuc Guide Service, an orientation and then settling into a log cabin for the night. Friday morning after breakfast we meet the dogs and head into the bush. We mush and ski into our winter camp, replete with cozy and toasty warm wall tents, in plenty of time to prepare for Shabbat. The next day we enjoy incredible peacefulness, a bit of Torah study and more mushing. Later in the day under a canopy of more stars than you can imagine we say good bye to Shabbat with Havdalah. Sunday we break camp and head back to the trailhead. The cost of the trip which includes meals Friday through Sunday and all technical gear is 650.00. There is a small additional fee for the B & B Thursday night. For more information contact us at BurningBushAdventures@gmail.com or visit us at www.burningbushadventures.com. I promise it will be an experience (in the positive sense) of a life time. I’ve led these trips for 20 years and every trip is always GREAT! Burning Bush Adventures is the rabbinate of Rabbi Howard A Cohen. Howard has been guiding Jewishly informed wilderness for over twenty years. He is one of the regular shlichei tzibbur (prayer leaders) at CBI. Chaim and I left on Wednesday night for our trip to Israel. We have rented an apartment in Jerusalem for 3-1/2 weeks. Chaim hasn’t been in over 20 years, having left Kfar Chabad as a teen and then living there again for a year in the 80’s. My last two trips in the past 12 years have been for work and certainly weren’t as leisurely as this one will be. In any case, I have decided to blog while in Jerusalem. If you are interested in following my posts go to www.paminjerusalem.com anytime you want to catch up on our doings, or sign up on the homepage to get the email delivered directly to your inbox whenever I post something new. The title of the blog is Pam In Jerusalem: Riffs, Reflections, and Rantings, and I imagine that is just what it will be. Read the “About” section for background info about my decision to do this blog.